This Vortex Diamondback 20-60x80 straight spotting scope offers outstanding performance, bright images, and rugged construction. 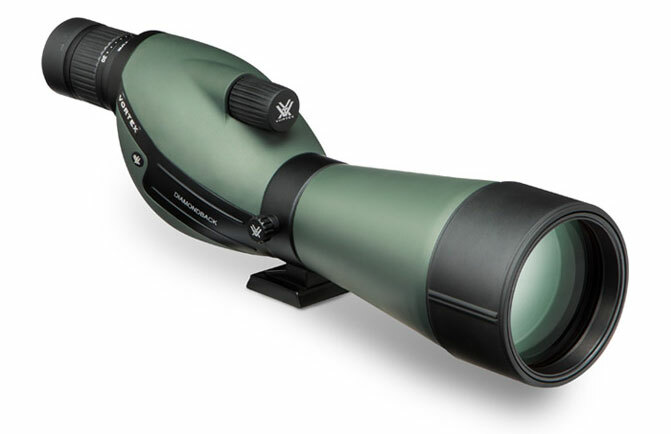 Features include fully multi-coated lenses, dielectric prism coatings, porro prism construction, waterproof/fogproof exterior, adjustable eyecup, built-in sunshade, and a rotating tripod ring. Scope Body Weight: 47.1 oz.